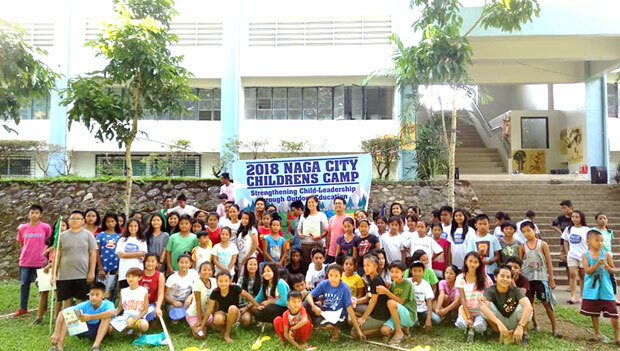 Practical water-saving tips and good personal hygiene practices were some of the topics discussed during the 2018 Naga City Children’s Camp organized by the Naga City Council for the Welfare and Protection of Children (NCCWPC) headed by City Councilor Elmer S. Baldemoro held at the Metro Naga Sports Complex, Brgy. Pacol, Naga City last May 18 to19, 2018. Present at the said event was MNWD Public Relations and External Affairs (PREAS) Head Maide D. Sison, who was invited to discuss Water Conservation as one of the themes in Environmental Education – a segment during the two-day activity participated in by about 200 children. It was an engaging discussion as kids actively responded to the questions asked by the speaker. Apart from the basic tips to save water and practices to maintain good personal hygiene, the importance of conserving water and the role of children as guardians of the environment were also emphasized. Several Information, Education, Communication (IEC) materials were distributed during the event such as the MNWD Water Saving Tips, Hotline for water-related concerns, Procedures on Proper Hand Washing, and the MNWD newsletter “Bulos”. Meanwhile, representatives from the local government of Naga also shared substantial information relative to Backyard Gardening, Waste Management, and Climate Change. WATER CONSERVATION. 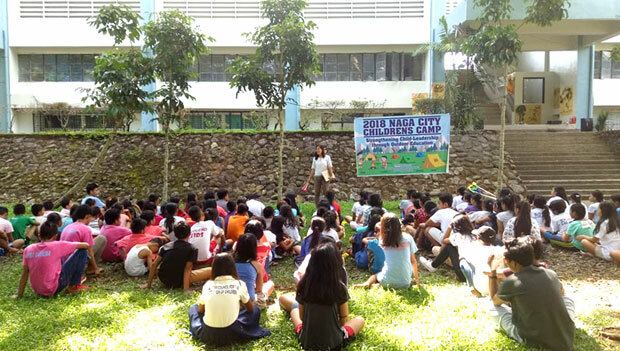 The MNWD Representative Maide D. Sison talked about ways on how to save water, practices to maintain good personal hygiene, importance of water conservation, and the role of children as future stewards of the environment during the 2018 Naga City Children’s Camp. Photo credit: City Councilor Elmer S. Baldemoro. 2018 NAGA CITY CHILDREN’S CAMP. 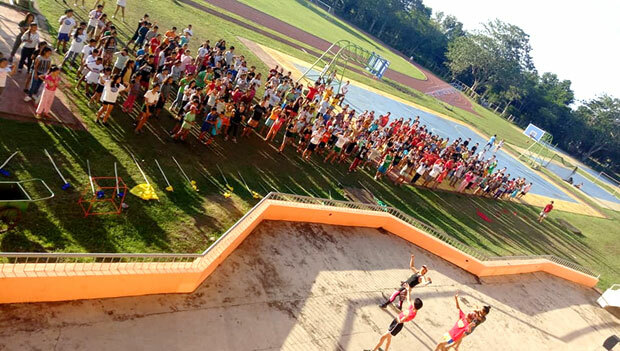 The participants of the 2018 Naga City Children’s Camp held at Metro Naga Sports Complex, Brgy. Pacol, Naga City. Photo credit: City Councilor Elmer S. Baldemoro.